Affordable Care Act: Also known as the ACA. A law that creates new options for people to obtain private health insurance coverage or Medicaid. AIDS Drug Assistance Program (ADAP): A part of the Ryan White HIV/AIDS Program that provides funding to states to purchase HIV drugs and other medications for people with HIV. ADAP may also help people with HIV pay insurance premiums and copayments. Appeal: A challenge of a denial by a health plan to pay for a requested service. Benefits: Services covered by a health plan. Certified Enrollment Counselor: An individual (affiliated with a designated organization) who is trained and able to help consumers, small businesses, and their employees as they look for health coverage options through the Marketplace, including helping them complete eligibility and enrollment forms. Their services are free to consumers. Coinsurance: A method of cost sharing in health insurance plans in which the plan member is required to pay a defined percentage of their medical costs after the deductible has been met. For example, if your plan requires a 20 percent co-insurance for an office visit and the total cost of the office visit is $100, you would need to contribute $20 towards the cost of the visit. The health insurance plan pays the rest of the amount. Copayment: A fixed amount of money for each healthcare service (such as $5 for a doctor’s visit or for a prescription). The required fee varies by the service provided and by the health plan. Cost sharing: A feature of health plans where beneficiaries are required to pay a portion of the costs of their care. Examples of costs include copayments, coinsurance and annual deductibles. Deductible: The amount you must pay for covered services each year before your health plan begins paying. Drug Class: Drugs are organized into both categories and classes. For example, a category of drugs is antiretrovirals and a class of drugs is protease inhibitors, a type of antiretroviral. Classes and categories are used to organize plan formularies. Health plans sold on the marketplace must cover at least one drug in every class. Drug coverage gap (sometimes called the donut hole): Prior to the ACA, there was a gap in Medicare coverage (sometimes called the “donut hole”) in which Part D enrollees were required to pay the full cost of their drugs until they qualified for catastrophic coverage. Under the ACA and through additional law making, that gap has been phased out. Now starting in 2019, after Medicare beneficiaries spend $3,820 in drug costs (including all drug spending not just personal out-of-pocket costs), they will pay 25% co-insurance for brand-name drugs up to $5,100 (including all drug spending, not just out-of-pocket spending), after which they pay a 5% co-insurance without a cap. Essential health benefits (EHB): A minimum set of benefits that must be covered by plans offered through the state and federal marketplaces and by Medicaid. They include many health services that are important to quality HIV care. Essential health benefits fall into 10 categories: prescription drugs; hospitalization; ambulatory patient services; emergency care; mental health and substance use disorder services; laboratory services; preventive and wellness services and chronic disease management; maternity and newborn care; rehabilitative and habilitative services and devices; and pediatric services. Exchange: Also called a marketplace. A program in every state where you can compare multiple health plans, buy coverage for yourself and your family and determine whether you qualify for a government subsidy. Federal Poverty Level: The government’s estimate of the amount of income an individual or family needs to meet food, housing, medical care and other basic living expenses. The poverty level is used to calculate eligibility for financial help under the Affordable Care Act (ACA) and other federal programs. It is adjusted for the number of members in a family, and there are higher levels set for Alaska and Hawaii. Formulary: A list of prescription drugs covered by an insurance plan. Also called a drug list. Grandfathered plans: Health plans provided by employers or sold to individuals on or before March 23, 2010. Grandfathered plans are exempted from many changes required under the Affordable Care Act. Gross (or total) income: The amount of income earned before taxes and other deductions. Health insurance: Coverage for medical care and other health-related services. Health insurance marketplaces: Also called exchanges. 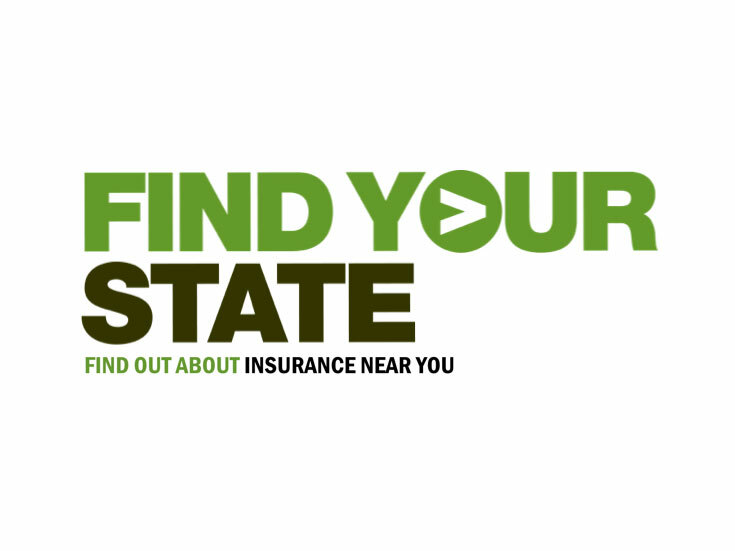 Every state has an online marketplace where you can compare multiple health plans, check whether you’re eligible for a government subsidy and buy coverage for yourself and your family. Marketplace: Also called an exchange. An online service in every state where you can compare multiple health plans, find out if you’re eligible for a government subsidy and buy coverage for yourself and your family. Marketplace network: The list of hospitals, doctors and pharmacies whose services are covered at least in part by your health plan. Your health plan may decline to cover services or charge you more if you access services from providers who are not in their network. Medicaid: A federal-state health insurance program for low-income individuals and families. Medicaid is the largest single source of health coverage for people with HIV. Medicare: A federal health insurance program for people age 65 and older and younger people with disabilities. Medicare is a major source of health coverage for people with HIV. Modified Adjusted Gross Income (MAGI): A calculation used by the Affordable Care Act (the ACA) to determine eligibility for Medicaid as well as how much financial assistance you are eligible to receive to help you purchase health insurance in the marketplace if you don’t qualify for Medicaid. To determine your MAGI, start with your adjusted gross income from your tax form and add in any Social Security benefits you receive that are not subject to federal income tax. Also add in excluded foreign income and tax-exempt interest income. Navigator: A person whose job it is to help people learn about new coverage options under the Affordable Care Act (ACA). Open Enrollment Period: The period of time each year when you can enroll in new coverage (i.e. purchase a new health plan) or switch plans. Open enrollment to buy or switch plans for 2019 under the ACA closed December 15, 2018 is most states. Some states have later deadlines. Click here for more information about your state’s offering. Generally, you can only enroll in a marketplace health plan or switch plans during the open enrollment period, unless you qualify for a special enrollment period because of special circumstances in your life, called qualifying life events. Note: If you are eligible for Medicaid or the Children’s Health Insurance Plan (CHIP), you can enroll at any time of the year. Out-of-pocket limit: The maximum amount a person has to pay for healthcare each year when premiums, deductibles and cost sharing are taken into account. Patient assistor: A trained person whose job is helping people learn about new coverage options under the Affordable Care Act (ACA). Pre-existing health condition: An illness or disability that a person has been diagnosed with before enrolling in a health plan. Under the ACA, insurance companies may no longer deny you coverage or charge you higher rates based on a pre-existing condition such as HIV. Premium: The monthly fee for health insurance. The cost of a premium may be shared between an individual and his or her employer or an individual and the government. In some cases, the Ryan White Program may also be able to assist with the cost of premiums. Preventive services: A set of free services that marketplace health plans, Medicaid expansion plans and many other insurance plans are required to cover. These services emphasize the early detection and treatment of diseases and are intended to keep people healthier for longer, thus reducing healthcare costs over the long term. Qualifying insurance policy: Insurance coverage that meets the minimum standards to satisfy the requirement to have insurance (individual mandate) under the Affordable Care Act (ACA). Qualifying life event: A major change in your life that impacts your health coverage needs or your options for getting coverage. If you have a qualifying life event, you can enroll in coverage or switch plans during a special enrollment period. If you don’t qualify for a special enrollment period, you must wait until the open enrollment period that occurs once per year. Getting married and having a baby or moving to another part of the country are examples of qualifying life events. In addition, loss of other health coverage that results from other life changes, such as divorce or death of a family member or losing a job, is also a qualifying event. Ryan White HIV/AIDS Program: A federal program that provides funds to states, cities and medical clinics across the country to provide various health and supportive services to people with HIV. Special enrollment period: An additional enrollment period available if you have special circumstances in your life, such as divorce, a spouse’s death or unemployment or the birth of a child that affect your eligibility for health insurance. If eligible for a special enrollment period, you may enroll or switch plans without waiting until the next open enrollment period. Spending cap: A maximum amount of money a health plan will pay for covered benefits sometime set on a yearly basis over a lifetime. The Affordable Care Act (ACA) prohibits spending caps. Subsidies: The Affordable Care Act (ACA) makes tax credits available for lower-income people to help them afford health insurance. The tax credit lowers the premium paid for health insurance by a person or family. In some cases, financial help is also available for cost sharing. Tax credit: The Affordable Care Act (ACA) makes tax credits available for lower-income people to help them afford health insurance. The tax credit lowers the premium paid for health insurance by a person or family. In some cases, financial help is available for cost sharing. Living with HIV? Don’t have insurance?